The Honourable Diana Bryant AO (LLB 1969) has had an impressive legal career serving as the inaugural Chief Federal Magistrate of the then Federal Magistrates Court of Australia, before being appointed Chief Justice of the Family Court of Australia in 2004. However, Justice Bryant says she was initially reluctant to pursue a career in law. “I’m a third-generation lawyer so that’s partly why I always wanted to do medicine,” she says. After graduating from the University of Melbourne in 1969, her Honour briefly practised in Melbourne and London before moving to Perth at the end of 1976. It was there that she discovered her passion for family law. The Family Court of Western Australia had only been in operation for six months when Justice Bryant began practising family law in Perth. “I was very lucky because I had a great opportunity right at the beginning of my career,” she says. After a number of years working as a lawyer in Perth, in 1990 Justice Bryant returned to Melbourne and went to the Victorian Bar. “I really enjoyed my ten years at the Bar, but at the end of that time I was starting to think I would quite like to be on the bench,” she says. When the Chief Federal Magistrate role of the new Federal Magistrates Court of Australia (now the Federal Circuit Court of Australia) was advertised, her Honour decided to throw her hat in the ring. “I nearly didn’t apply,” she says. Upon appointment, Justice Bryant was tasked with the not insignificant job of setting up an entirely new court. “Setting up a court is a very different, unique opportunity,” she says. “We had lots and lots of meetings about it, even down to what files we would use. Later, working as the Chief Justice of the Family Court came with its own challenges. “Every time I sat I had to preside so I really had to be on top of it. There wasn’t any capacity to just be a passenger,” her Honour says. Throughout her career, Justice Bryant has worked to advance women in the law. 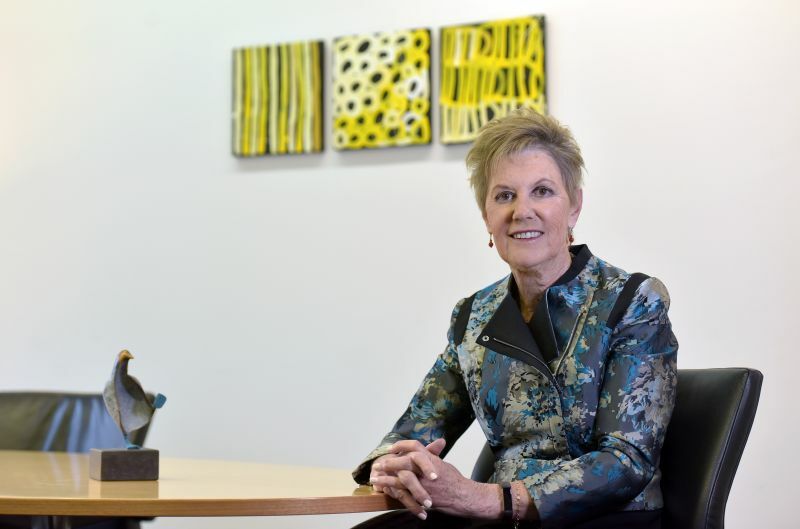 She was involved in establishing the Women Lawyers of WA and is a Patron of Australian Women Lawyers and a member of the Australian Association of Women Judges. “I’ve always thought it was important for women to be role models for other women,” she says. “My mother was a lawyer with her own practice and she was actually president of what was then called the Legal Women’s Association of Victoria. Justice Bryant currently chairs a working group for the Hague Permanent Bureau in relation to Article 13(b) of the Child Abduction Convention, while also working with the National Judicial College to facilitate workshops for the judiciary throughout Australia. As a part of the Judge in Residence Initiative at MLS, her Honour has been giving lectures, peer-reviewing papers and has even had a chance to sit in on a few classes at MLS. “I’ve really enjoyed the opportunity to sit in on a few classes myself,” she says. "Family law requires curiousity about the human condition,” she says.